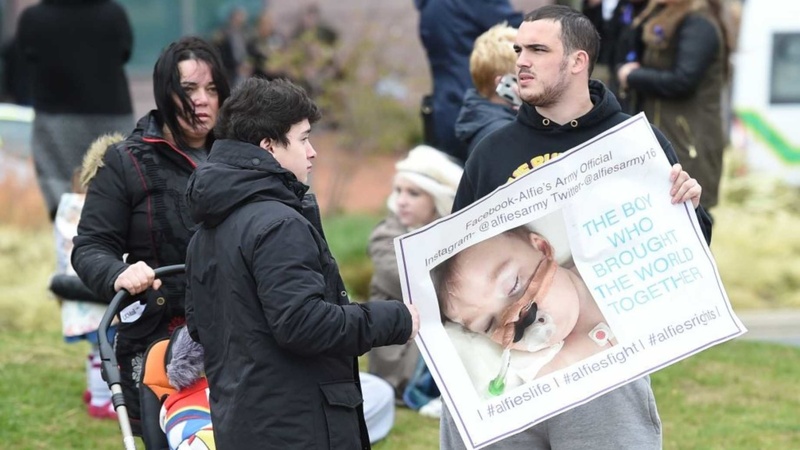 As little Alfie Evans took his last breath, the world mourned the loss of his sweet, innocent life. His parents fought tooth-and-nail to protect him, battling it out in the courts; standing up to ruthless doctors, but in the end, the government got their wish. And the tragedy of losing Alfie Evans is not only heartbreaking and hard to watch, it is a fierce reminder to the world at the real battle taking place, and it’s worse than anyone imagined. But the case of Alfie Evans uncovers the chilling reality of the government using their power to strip parents of their right to protect their own children. One can’t even imagine the pain Alfie’s parents are experienced, as they watched their little boy die, and were helpless to stop it. But the government used Alfie to prove a point – they call the shots. In their sick game of determining the value of human life, the government has wrongfully stepped in to play the role of God, deciding who lives and who dies. And it will keep happening, unless something is done. The Gard family, who lost their son Charlie to a similar battle, came out to show their support for Alfie’s family. “With heavy hearts we have watched as Alfie’s case has unfolded,” Chris Gard and Connie Yates wrote Friday on the “Charlie’s Fight” Facebook page. Charlie Gard passed away at 11-months-old last year after the courts prevented his parents from taking him to the U.S. for treatment. Great Ormond Street Hospital also fought the couple’s request to take their baby home to die, arguing that they were not sure whether they could get the proper medical equipment into their home. The parents said they realized while they were fighting for their son that cases like Charlie’s would continue to crop up until the law is changed. Some legislators are advocating for a new law to stop this type of injustice from ever happening again. The arrogance of doctors downplaying the wishes of the parents, accusing them of “not knowing what’s best” for their child, is repulsive. Mommy Underground applauds the valiant effort of Alfie’s parents fighting until the very end to try and save their little boy. The government may have strong-armed and overpowered Alfie’s parents, but they’ve won the battle and lost the war. Alfie’s story exposed government-run healthcare for the sham it really is, and the world will not sit back and let Alfie’s death be in vain. Please keep Alfie’s family in your prayers during this difficult time, and take comfort in knowing one day, God will bring justice, and everyone will be held accountable for their actions. Had Alfie been afforded the chance to be transported into a willing hospital in Italy that was eager to have him, this story might have ended different. What are your thoughts on how the Alfie Evans’ story ended? Do you think government-run healthcare is ever a good thing?